We have been well fed by the ladies in the kitchen! They are up before the sun preparing hearty breakfasts for us all. Sue (Ketchikan, AK) makes great oatmeal, I think even Lee O. would approve!! Eileen (Boone, IA), Betty (LaGrangeville, NY) and Sue are a great team in the kitchen. The guys worked hard all day getting the last wall and most of the ceiling joists and rafters up. Cora (McAllen, TX) and I started scraping the peeling paint off the front and side of the school. We are hoping to have enough time while we are here to paint the front of the school, too. Tonight we were able to go into town to make phone calls home. The Chilean national office of the C&MA was kind enough to let us use their phones. We then went to Pizza Hut, yes Pizza Hut, and had dinner. We all tasted pizzas that are traditional to Chile. We finished the evening off with a stroll through the local mall. Bill (Waterville, OH) and Dwayne had fun taking empty shopping carts down the escalator and then back up again! A lost sheep wandered onto the work site today…it was bleating loudly looking for its shepherd. This bleating sheep made me think about all the lost sheep out there, more specifically, the unchurched children in this area of Chile. We are building this home so the caretakers of this school can show the love of Jesus Christ to these children. This school is run by the C&MA of Chile, funded by the government, and the teachers are allowed to teach religion in the classroom. They are ALLOWED to share the gospel of Jesus Christ in the public school classroom!!! If this home is not built by the time school starts in March, this school can not reopen. 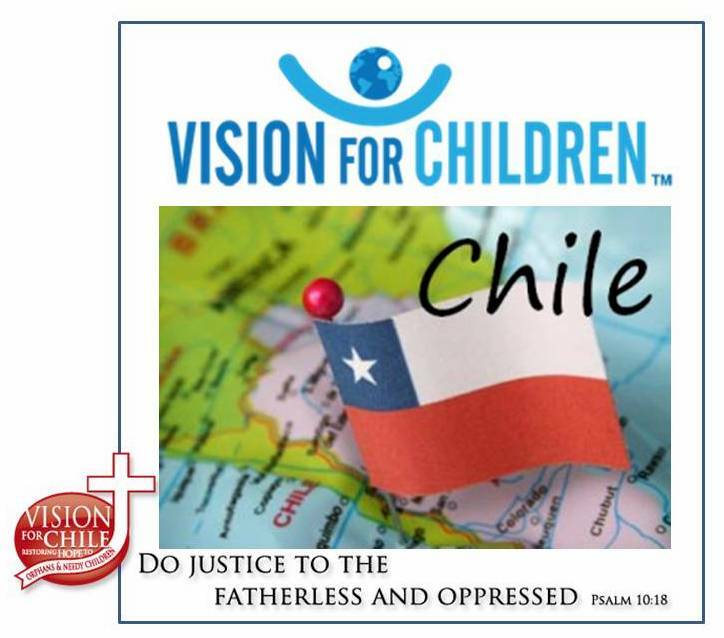 Because of Vision for Chile and its supporters, we are here building this home, providing for the lost sheep of the Temuco area. PRAISE GOD!!! We woke up to a cold rainy morning. We are pushing through and continuing to work hard. We were refreshed last night at the river. Bill had the bus driver take us down the road about a mile to a public access area of the river that runs through the back of the school property. Bill was like a little kid as he threaded his fly rod with fishing line! He hasn’t caught anything yet but has lots of fun trying! We wandered the shore relaxing to the sound of the water rushing over the rocks. Paul (Ketchikan, AK) and Gary (Boone, IA) were like little boys skipping rocks over the water trying to outdo one another! The guys have made so much progress on the house. Raphael brought out an electrician and a plumber. They work hard and enjoy eating lunch with us North Americans! The roof is on, some siding is up, the inner walls are being insulated. Betty was out on the job site this morning helping to put in the insulation. Tomorrow we will go to church in Temuco. We hope to do some sightseeing and shopping in the afternoon. We will spend time at Ruth and Raphael’s home in the evening for a BBQ. It should be a nice evening of fellowship with our brothers and sisters in Christ. Muchas gracias to all of our family and friends. We thank you for your continued prayers and encouragement. Please pray specifically for our health as the caretakers’ wife is ill with shingles and we know she is in a lot of pain. We have been fortunate to not have any serious injuries so far. We love and miss you all! Amy (Maumee,OH) for the team!! Hola Temuco Team! I am praying for you all. The progress looks great! Hopefully Bill’s finger isn’t worn out! Cora scraping paint??? Great job! Mark, glad to see that you actually packed! Tom, looks like anouther great job! Betty, hope you are enjoying the “South”! Hola, Nancy! Hope you are getting to enjoy some peanut butter! Amy, hope you enjoy the warm weather…it was about 10 this morning and we are getting more snow tomorrow! HAng in there guys and keep up the good work!